The journey began in 1971 in a little market stall in a bustling shopping district in London known as Portobello Road Market which was an eclectic mix of the original fruit and vegetable market dating from the early 1800’s jumbled in with hundreds of shops and street ‘barrows’ selling antiques and objets d’art from around the world. Please view: http://www.portobelloroad.co.uk/ Well worth a visit if you’re ever London-way. 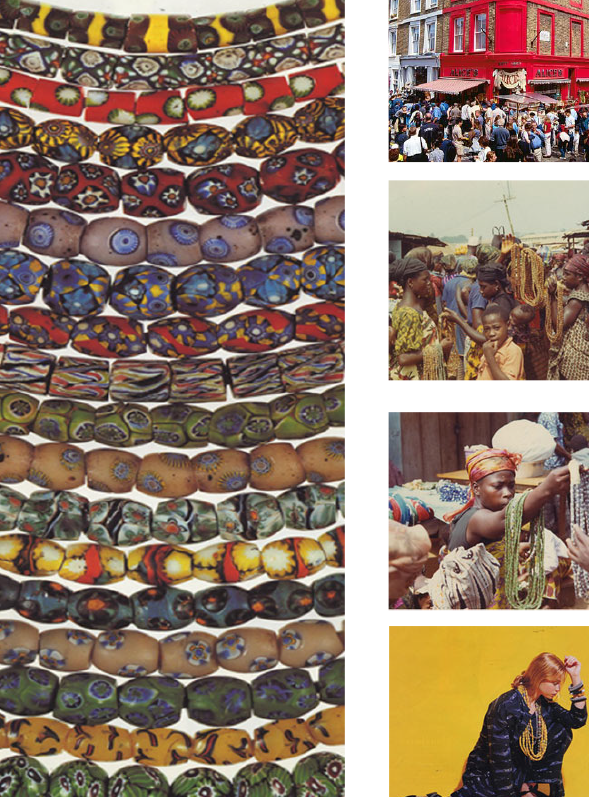 Prior to opening their market stall in Portobello Road the founders had travelled in Africa following ancient trade routes through the Sahara to the Ivory Coast and Ghana, collecting unique, antique beads and artifacts. It was at the remote inland town of Kumasi that they finally found exactly the pieces they were after – beautiful vintage glass beads known as “Trade Beads”. They filled their little market stalls in Portobello Road with these collections and became an instant success. At ASHANI JEWELRY we are dedicated to seeking out rare, timeless and beautiful pieces and conduct regular buying treks around the globe in this pursuit. © Copyright 2018 © Ashani Jewelry, All rights reserved.